Individuals interested in attending the Basic Fire Suppression Academy must meet all of the below listed enrollment standards set forth by the NFPA 1001-2008 Standards for Fire Fighter Professional Qualifications. The Texas Commission on Fire Protection and National Fire Protection Association establishes these standards and does not provide for any exceptions. Please review them carefully. The tuition and fees for this course do not cover the cost of uniforms and/or other equipment that a cadet will be responsible for supplying. Bunker gear may be rented through the college, or may be furnished by the sponsoring Fire Department, pending the Director’s approval. Space is limited, so interested parties should register early. Tuition for the Fire Academy is covered under VA benefits and the Texas Hazlewood Act. Graduates may receive certification in Fire Fighter I, Fire Fighter II, Hazmat Awareness and Hazmat Operations after passing the TCFP Exam administered at the end of the course. 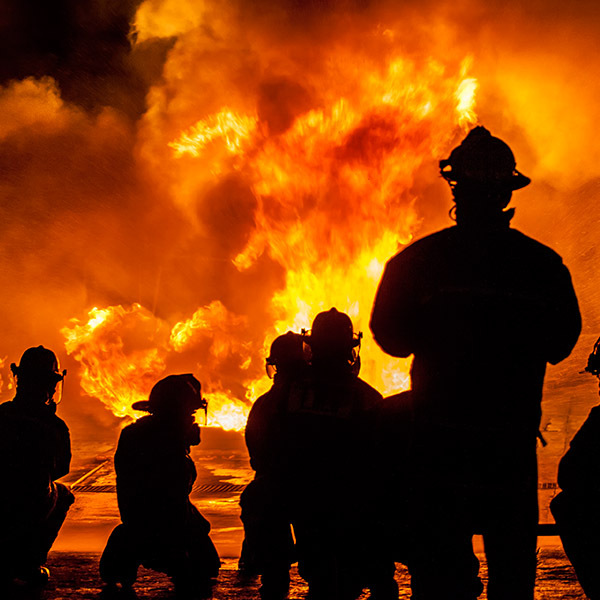 They also qualify for national accreditation by the International Fire Service Accreditation Congress (IFSAC) when all four parts of the exam are mastered. We must have the application on or before the application deadline. You will be notified by mail regarding your status in the Tyler Junior College Fire Academy. Admission to the Fire Academy is based upon a highly competitive process. Preference will be given to an applicant’s level of education, experience and their affiliation with a Municipal or volunteer fire department or rescue unit. Housing is now available for men and women who have been accepted to the Fire Academy. Four Smith County volunteer fire departments have living quarters. If you are in need of housing please download the application/contract and read the it carefully. The cost is $1000 for the duration of the academy and includes what is listed in the packet. Fall MTWRF 8:00 a.m.-5:00 p.m. Contact the Fire Academy Director, Jeff Hudgens at 903-510-3205 or administrative assistant Jeanine Grimes at 903-510-2404 on the TJC’s West Campus, 1530 SSW Loop 323, Tyler, TX 75701-2546 for any questions. You can also visit our Facebook page. Once a student successfully passes the firefighter licensing exam and upon application and enrollment to Tyler Junior College, credit may be awarded for up to 15 hours of college credit. These hours apply to an AAS, Fire Science here at TJC.